Have you ever dreamed about becoming a world-class soccer player at the FIFA World Cup while playing for the Socceroo’s? Well, the path to becoming a professional football star is definitely not easy, but it can be achieved. You merely need financial support, sacrifice, dedication, and loads of commitment. 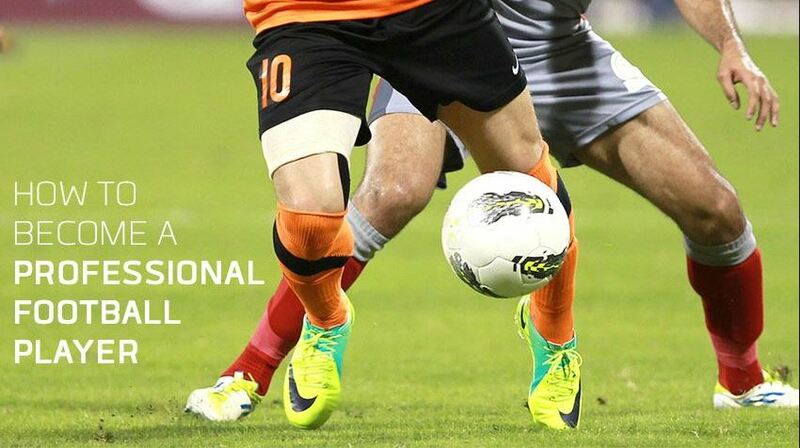 Below, we will address what you’ll need to become a professional soccer player in Australia. Potential soccer players will need a passion for the game and will require a good reason to practice the sport as much as humanly possible. A passion and a desire for the game are both key motivational factors that will assist you in going the extra mile to becoming a professional soccer player in Australia. From an early age, you’ll need to train every single day to improve your skills and attend loads of training sessions to further enhance your abilities. Soccer is played over 90 minutes and an average soccer player will cover anywhere between 9 and 13 kilometres in a single game. Therefore, you’ll need stamina, both mentally and physically. So, aspiring young soccer players will continuously need to improve their overall fitness to take their game to the next level. This can be achieved by participating in weight sessions at a local gym, interval training, and cross country running. Apart from getting fit and increasing your stamina, you will also need to follow a strict diet. In fact, most football stars consider dieting to be far more important than training as it helps you to stay mentally and physically fit. Therefore, we recommend eating loads of fresh fruit and fish and ensure you drink loads of water with every meal. How on earth do you get more confident? Well, positive thinking and practicing is a great place to start. You should know by now that practice makes perfect, but what you might not know is that practice also creates confidence. With better preparation and more practice, you will start gaining more confidence in both your body language and football abilities. Once your confidence is boosted, it will eventually show during your matches which will assist you in taking a step closer to being spotted as a potential football star. As a player, you will need to stay hungry and never get satisfied. You will constantly be tested on a wide range of skills, including tackling, heading, crossing, shooting, passing, and touching the ball, so the more you perfect your skills, the greater your chances will be to become a professional player. To successfully achieve this, you will need to attend as much training sessions as possible. Look for the best training camps in your area and ensure you learn from the best. You will also need to include as many gym sessions as possible and talk to your coach about how you can improve your game by eliminating your weaknesses. This article was posted in News, Player. Bookmark the permalink. Follow comments with the RSS feed for this post. Both comments and trackbacks are closed. © 2019 oldxavs.com. All Rights Reserved. Proudly Built with Startup WordPress Theme and WordPress.